At its opening banquet in 1913, Secretary of State William Jennings Bryan proclaimed The Grove Park Inn to be “built for the ages.” Fresh on the heels of a $25 million renovation, the AAA Four-Diamond resort hotel nestled in the Blue Ridge Mountains of North Carolina has proven him right and is marking its 100-year milestone with a yearlong celebration. Rest assured, the architectural details that helped make the inn an icon—the rough-hewn rock facade and the mammoth stone fireplaces dominating the Great Hall—remain intact. New to the mix are retail stores featuring local artisans and Edison, a restaurant focusing on local craft beer and casual Southern comfort food. It’s named after Thomas Edison, one of the inn’s many renowned guests, who have also included ten U.S. presidents, most recently Barack Obama. Stepping into the Great Hall, you’re sure to feel like a VIP. Its rustic majesty and stellar collection of timeless Arts and Crafts furniture (one of the nation’s finest) continue to captivate guests, and the views of the surrounding mountains that have greeted visitors for generations are without peer. And while the setting is grand, the atmosphere is intimate. Families play classic board games and lovebirds nestle near the fire, as live music—from jazz standards to Celtic ballads—fills the halls. As you head to your room, photographs of other storied guests bid you a fond good night. Those staying in the historic Main Inn, which contains the oldest rooms, all furnished with vintage Roycroft decor, will find their quarters look much the same as they did in the days of The Great Gatsby. In fact, it’s easy to imagine former resident F. Scott Fitzgerald just down the hall in Room 441, standing at his window, drink in hand, surveying each guest’s arrival. 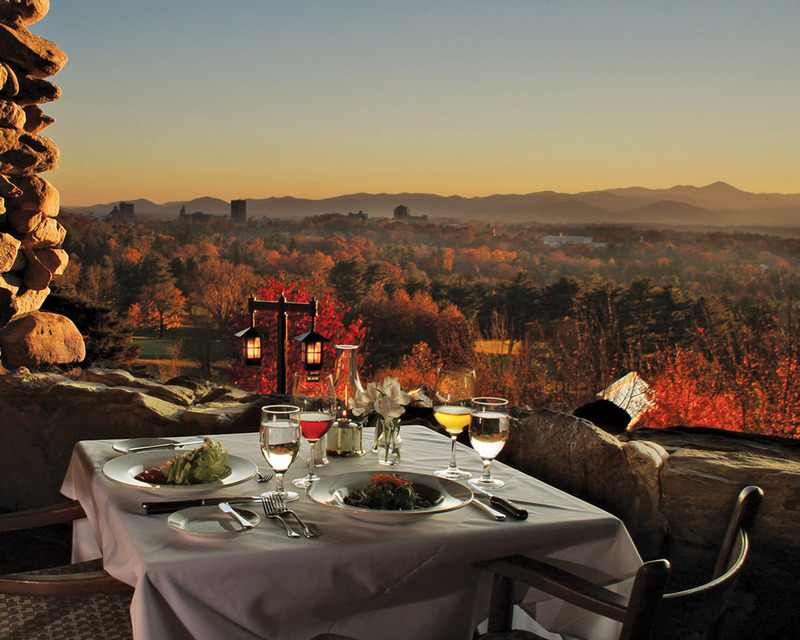 Sunset Terrace offers an award-winning wine list and breathtaking mountain views. 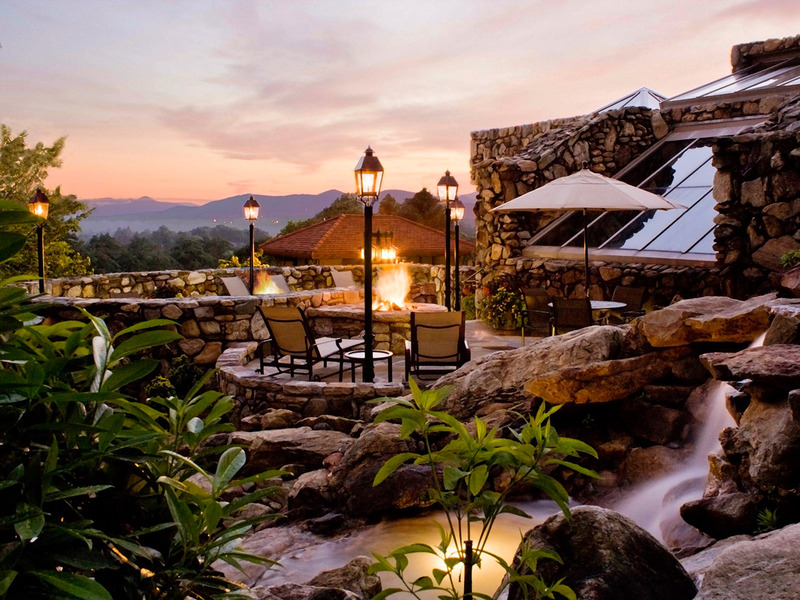 Given this is an inn founded on the principles of rest and relaxation, be sure to make your way to the 43,000-square-foot subterranean spa, which appears to be carved out of the mountain bedrock. This sanctuary of mineral pools with underwater music, hot tubs, steam rooms, and therapeutic waterfalls caters to all the senses. 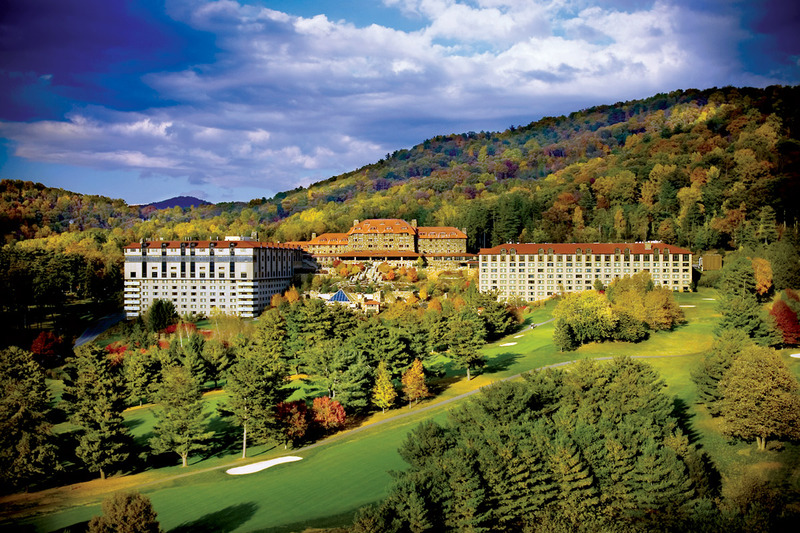 If you can’t get enough of the fresh Appalachian air, schedule a massage in the year-round outdoor pagoda overlooking the Blue Ridge Mountains or book a tee time on the historic Donald Ross–designed golf course. 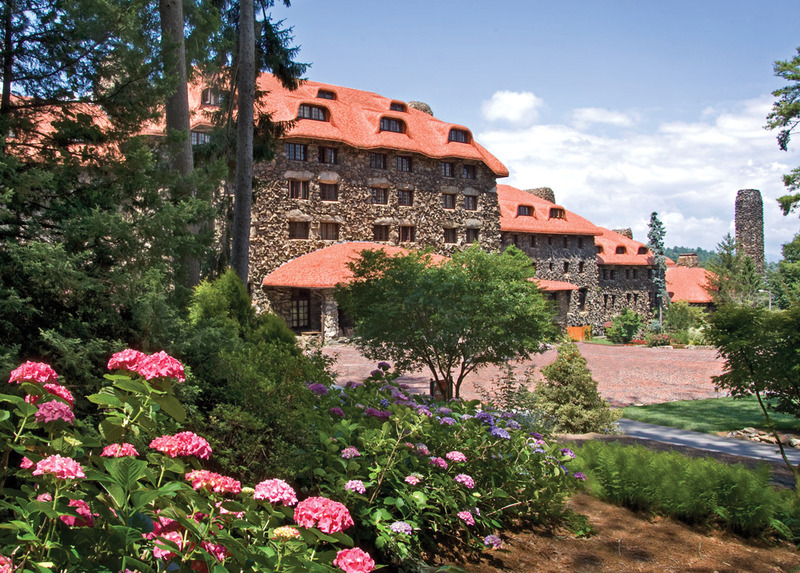 Then raise a frosty mug of Centennial Ale or a specialty cocktail (served in a commemorative take-home glass) in honor of this grand mountain inn and its lasting allure.